The ducky cake was for my son’s second birthday. 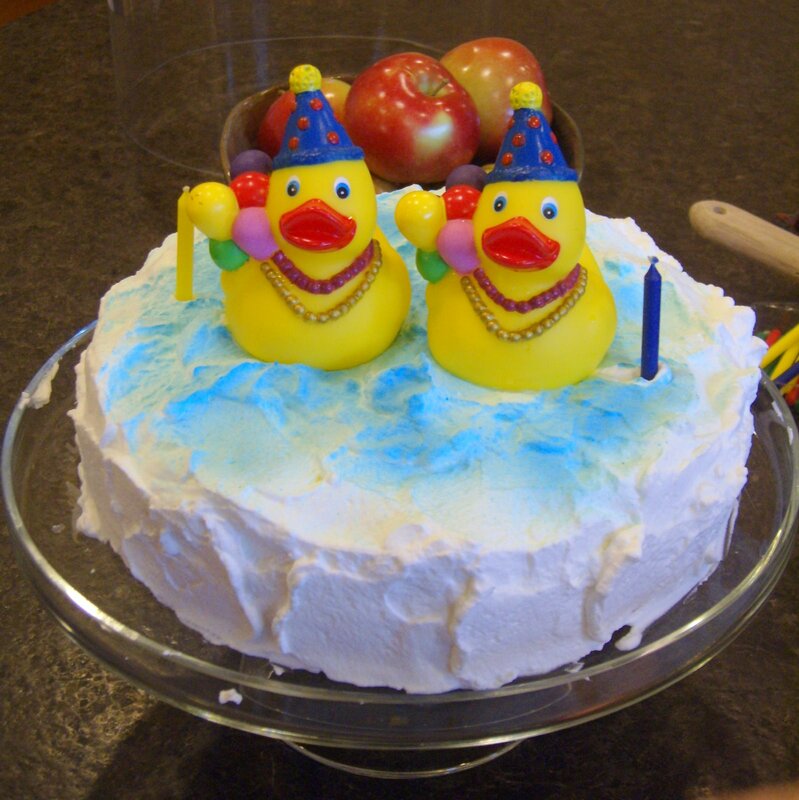 He was in a little bit of a duck phase, so we thought he’d enjoy them on his cake. Chocolate cake, lightly sweetened whipped cream. My theory on birthday cakes: Taste comes first. I don’t like to clutter up my cakes with a bunch of decorations that don’t actually taste good. Sometimes, a cake should just look like a cake! That said, I’m working on my decorating skills. 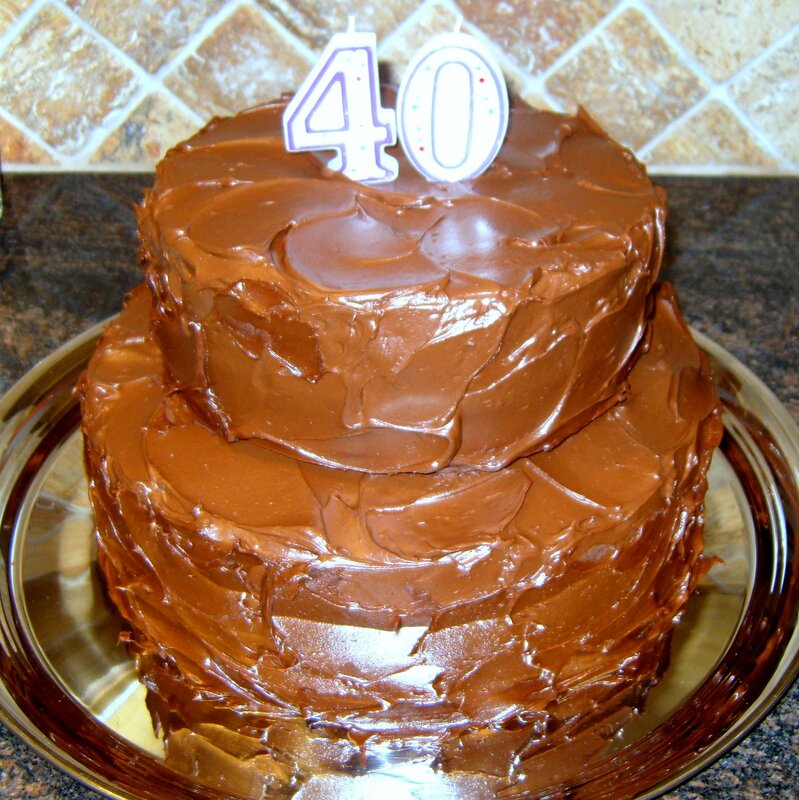 One of these days I’ll find a picture of my very favorite cake. It was a wedding cake for some friends, and though I don’t remember the cake flavor (I think it was chocolate), it was covered in swirls of white Italian meringue buttercream and topped with real, unsprayed red roses. Simple, pretty and really tasty. 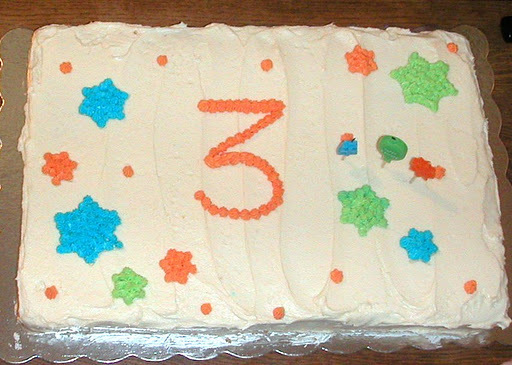 This cake was for a big 3rd birthday party. Vanilla cake with chocolate chips and vanilla buttercream.